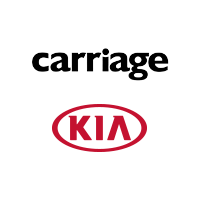 Although KIA and Hyundai are both parts of South Korea’s Hyundai Motor Group, they differ from one another. Hyundai has several mottoes, one of which is “New Thinking. New Possibilities.” KIA has only one: “The Power to Surprise.” Both these slogans apply to the midsize sedans’ 2019 models. With its ability to surprise, the both stylish and affordable KIA Forte also presents itself as a very safe vehicle. In tests conducted by Consumer Reports, while the Hyundai Elantra receives 4-star ratings in overall crash, overall frontal crash and side crash tests, the Forte has been rated as a safer vehicle in overall and side crashes, with an equal rating in frontal crash tests. Kelly Blue Book gives the Forte an overall 8.6 safety rating and the Elantra an 8.5 rating. An overall expert rating by The Car Connection puts Elantra at 5.6 and Forte at 6.3. Hyundai’s Elantra displays its new thinking on the front and the rear since both areas of the car have been refreshed. The front shows a new grille that is wider and dominated by horizontal slats. The trunk has more depth now than in the past. The Elantra has added what is called Smart Sense Features. These are forward collision warning, lane keeping assistance, and driver attention alert. Like the Elantra, the Forte is a stylish vehicle. While the Elantra has an attractive and spacious interior, the Forte surprises buyers in their examination of its interior. Seats made of leatherette in the sport trim appear authentic and appealing in their design, providing the comfort but less upkeep than real leather. Because the 2019 KIA Forte is three inches longer than before, the back seat is a bit more spacious than that of the Elantra. The Forte has more headroom than in last year’s model, also, and air vents have been added as standard so that all seats can be ventilated in warm weather and heated in the cold. The Forte offers an easy to use infotainment system with an 8.0 touchscreen, Apple CarPlay, Android Auto compatibility comes as standard on all trim levels. The Elantra also has an updated infotainment system with easier access to all radio channels and an 8.0-inch screen to replace the previous 7-inch screen. However, safety technology is not standard as it is on the Forte. In fact, Forte has a high level of standard equipment, including automated emergency braking, and lane-keeping assist. Another safety feature of the KIA Forte is the manual override that allows the driver to control speed going downhill. If you would like to see the 2019 KIA Forte and test drive it to experience how it compares to the Elantra, please stop by the dealership and our friendly staff will take you on a test drive, as well as answer any questions you may have. We look forward to meeting you! * EPA fuel economy estimates. Actual mileage will vary with options, driving conditions, driving habits, and your vehicle’s condition. These estimates reflect EPA’s revised coefficients beginning with some 2017 models.